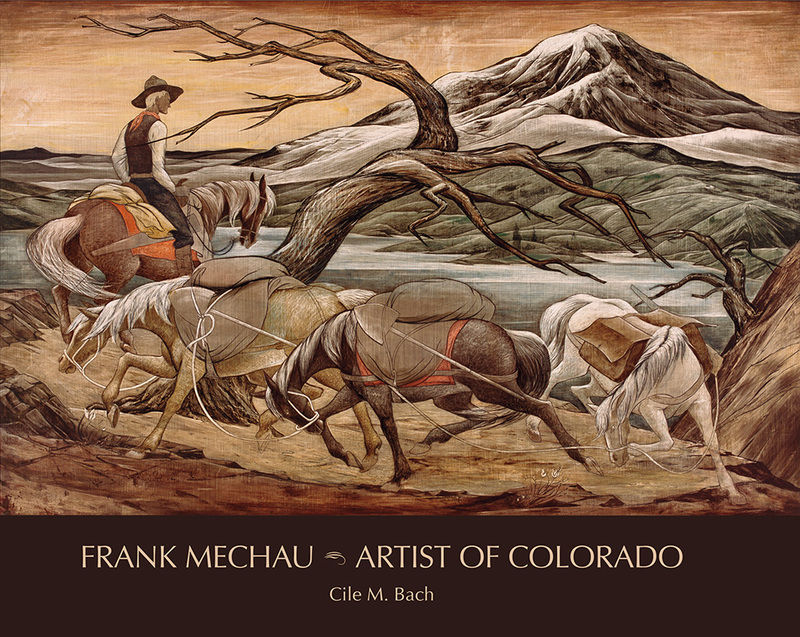 In Frank Mechau: Artist of Colorado, Cile Bach offers a thoughtful and engaging account of Mechau’s career. Using excerpts from letters, notes, and journals, she infuses the book with Mechau’s presence, giving readers not only a sense of the strength of his artistic talent but a glimpse of the extraordinary self-educated man behind the work—his determination, his sharp mind, his playful wit, his gentleness, and his love of life, his family, and the Western Slope of Colorado that was his home. Cile Bach’s account remains the only substantial documentation to date of Mechau’s career—which makes this second edition of Frank Mechau: Artist of Colorado a prized and important book. Published by University Press of Colorado, 2016. Hardcover with dust jacket, 144 pages, 70 color images.